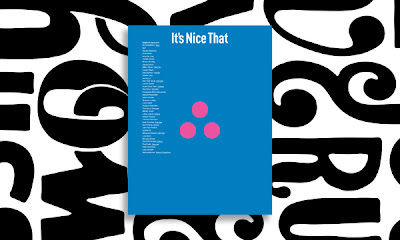 PUBLISHING – The guys from It’s Nice That dropped us a line saying we could have a sneak peak at the forthcoming issue of the It’s Nice That publication. How could we say no? The spreads look fantastic and are a joes[a]fiend exclusive. 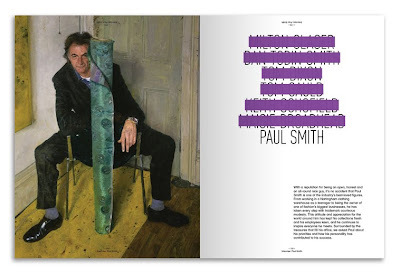 It’s Nice That Issue #3 has some big hitters in its beautifully designed pages who span the creative disciplines, included in the seven interviews are graphic design legend Milton Glaser, fashion designer Sir Paul Smith, furniture designer Tom Dixon, filmmaker Keith Schofield, illustrator Tom Gauld and artist Maisie Broadhead. 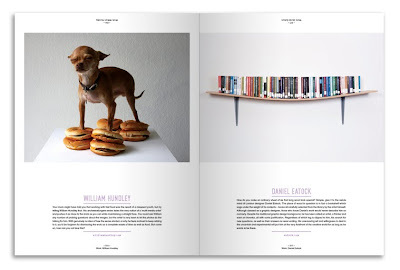 The team behind It’s Nice That have given free-rein to creatives to write about a subject that excites and interests them, with articles including Illustrator / designer Geoff McFetridge, writing about his frustrations with graphics in comparison to the written word. 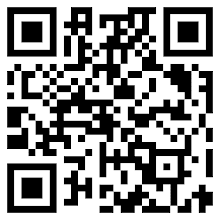 If you want to get your hands on the publication do so NOW! All pre-orders received before midnight on March 31st will receive an exclusive, large-scale screen print from world-renowned illustrator Parra. The print is 980 x 550mm when unfolded and has been commissioned exclusively for everyone who orders the publication early. It is available nowhere else in the world.